David “Dave” Jay Hanshaw, age 86, of Sanford, NC, died Wednesday, January 16, 2019 at Green Leaf Care Center in Lillington. He was born in Lawrence County, Kentucky on May 23, 1932 to the late Virgil Hanshaw and Cordilla Hammonds Hanshaw. 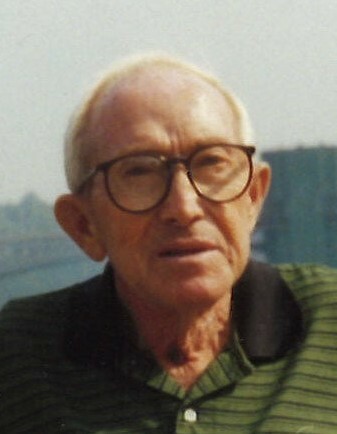 In addition to his parents he was preceded in death by his wife Opal Nell Hancock Hanshaw; and siblings Don Hanshaw, Nancy Davidson, Dilla Garner, Billy Paul Hanshaw and Curtis Hanshaw. His beloved cat Paws also preceded him in death. David served our country in both the United States Airforce and Navy. He was drafted into the Airforce in 1952 then enlisted into the Navy in 1960. He was a Mason since July 1978 with Sanford Lodge 151. David enjoyed his family and others who were a part of his life. He loved chocolate milk, strawberry milkshakes and any dessert. He is survived by his daughter Denise Doran and husband Gene of Angier; brother Virgil Edward “Ed” Hanshaw and wife Onie of Ashland, KY; brother-in-law Bill Garner of Rocky Mount; sisters Rethal Smith of Columbus, OH, Sarah Meyers of Bradenton, FL; sister-in-law Shirley Lamm of Sanford; grandchildren David Gene Doran and girlfriend Krystal Woodall, Cassie Doran and boyfriend Brandon Sulc and special friend and roommate Mack Brown. The family will receive friends Sunday, January 20, 2019 from 2:00 PM to 3:00 PM at Grace Chapel Church with a memorial service following at 3:00 PM with Rev. Joel Murr and Dr. Royce Baker officiating. Burial of cremains will follow in the church cemetery.